WorldClassRoom FAQs - How do I know which course the assignment is for? In this tutorial you will learn how to determine which course an assignment is for when viewing Calendar from the Global Navigation Menu. 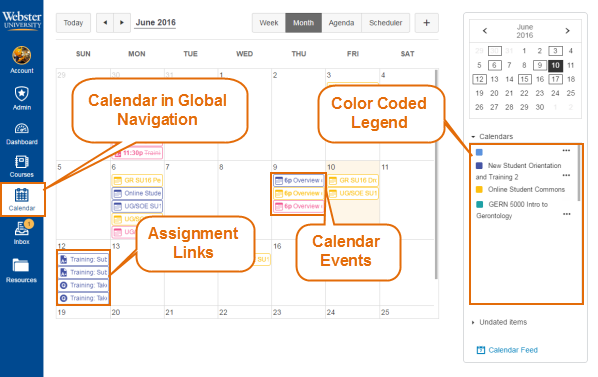 When accessing Calendar through Global Navigation, you will see the assignments listed within the calendar on the date they are due. The listing will be color coded based on course. The legend for the color coding is on the bottom right side of the screen.